...are in Pittsburgh! And sold at the airport! It's a win win for everyone. I grew up outside of Pittsburgh so was used to seeing Sarris Candies everywhere and took them for granted. It wasn't until I moved to NYC and read about their chocolate covered pretzels on Hungry Girl that I took notice ("you don't know what you had till it's gone" never rang so true). HG was right, their 100 calorie packs of milk chocolate covered pretzels are some of the best you will ever try. It has to do with the ratio of milk chocolate to pretzel, the saltiness of the pretzel, and that the pretzels are never stale. Huge difference! Stale chocolate covered pretzels are such a let down. 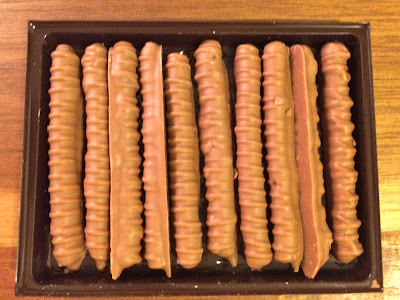 You get all excited about letting yourself have a little chocolate only to bite into a mushy, chewy, sad, little pretzel. Night ruined. Not so with these. I have yet to bite into one single stale pretzel and this is based on a LOT of research. 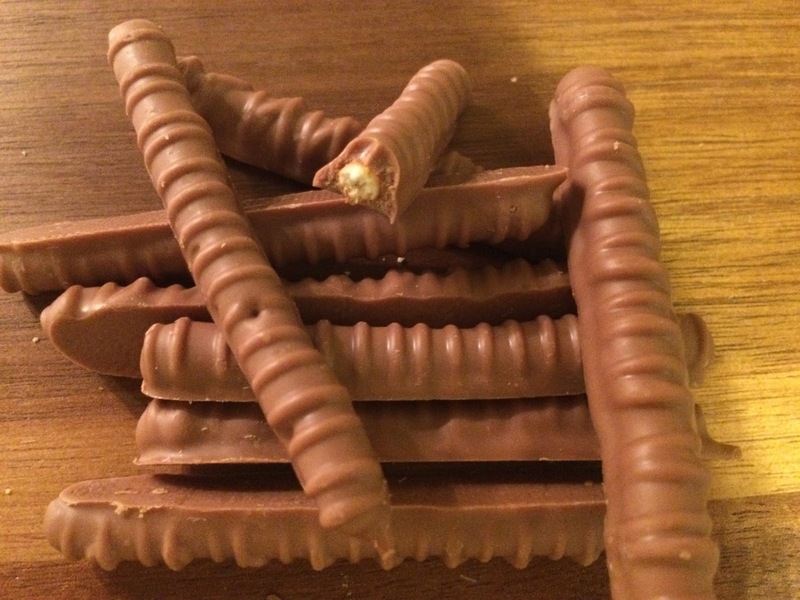 Also, these mini milk chocolate pretzel sticks (pictured below) are sold as 100 calorie packs to help save you from yourself (which is a nice added bonus until you look in the trash and realize that you've eaten five two). 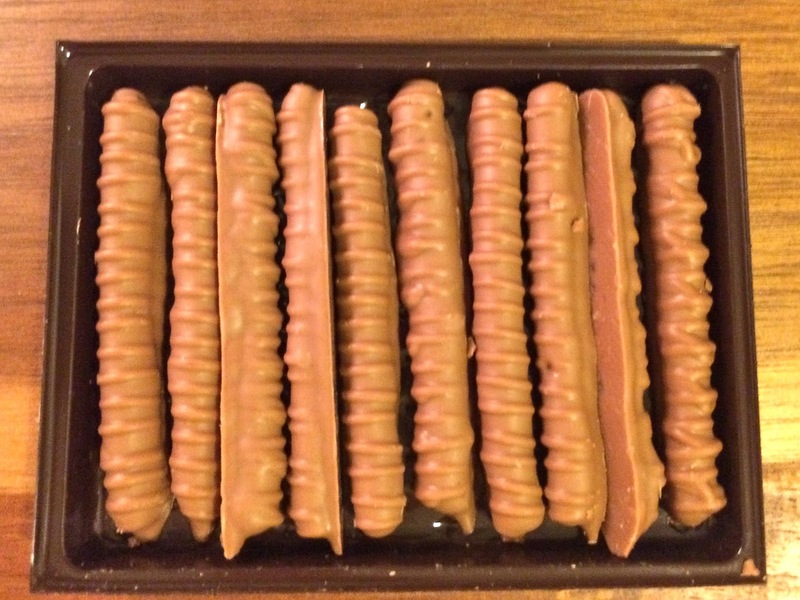 But still, I love the built-in portion control that they've got going on here. Their large pretzels and pretzel rods (all milk chocolate) are all worth trying too. Finally, if you are into peanut butter then you need to try their peanut butter chocolate pretzels and pretzel rods. These are a perfect combo of crunchy pretzel, smooth semi-sweet peanut butter and a nice thick (but not too thick!) coating of milk chocolate. Now the really good news: if you're in the Pittsburgh airport, you can do what I do and STOCK UP! 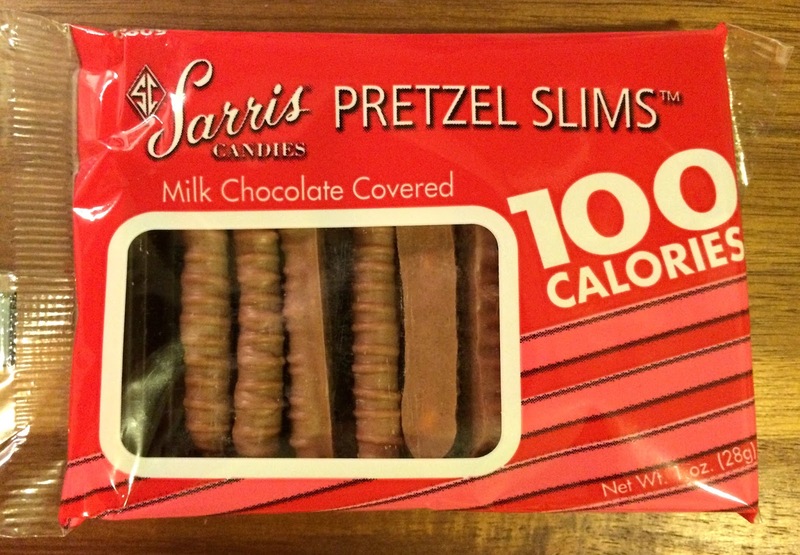 purchase some Sarris chocolate covered pretzels at the Rite Aid store in Terminal D (Delta's terminal). Or if you're not headed to Pburgh anytime soon, then just order them online: sarriscandies.com.